Norway’s government has extended a 30-year moratorium on oil production on its Arctic shelf until 2013 under pressure from the World Wildlife Fund (WWF), the environmental organization said on Monday. “The moratorium for Lofoten and Vesteralen [islands] in Norway’s northern arctic waters is part of an overall management plan for the Barents Sea that is aimed at protecting important areas for fish, sea birds, seals and whales,” the WWF said on its website, adding that the ban would last until 2013. The moratorium is part of WWF-supported campaigns already under way in Alaska and Russia to protect fisheries and communities. The wildlife protection campaigns are based on studies showing that oil returns in the long term would be less than returns from well-protected biological resources. “It is complete madness to trade in a sustainable fishery that could continue to accommodate the interests of both people and nature for generations for a few years of quick and dirty profits from oil,” said Rasmus Hanssen, Secretary General of WWF Norway, according to the website. The organization has long called for Russia to follow Norway’s suit and protect its biological resources from oil company expansion. In particular, a recent Rosneft-BP deal to jointly extract oil from the Arctic shelf has raised serious concerns among environmentalists. The companies plan to start drilling in 2015. Today, the Barents Sea agreement between Norway and Russia will be ratified in Stortinget, the Norwegian Parliament. It was in October last year that the delimitation deal for the Barents Sea was signed by the Norwegian and Russian Foreign Ministers in Murmansk, after decades of disagreeing on this border. Hornorkesteret congratulates both countries with a piece of the arctic! Russia was originally set to ratify the agreement at the same time as Norway, but the processing of the agreement is still not scheduled in the Russian State Duma. Read more here, at Barents Observer. Look at an interactive map of the agreement as of april 2010 here, at Dagbladet. 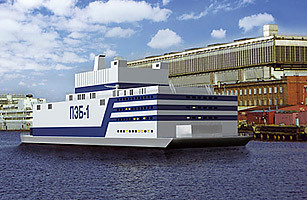 (Xinhua via Kerala.com, 26 December 2010) — Moscow – Russia will build a nuclear-powered icebreaker for use during winters in the country’s western Arctic region. The money earned through selling a stake in Sovcomflot, Russia’s largest shipbuilding company, will not go to state coffers but will be spent on building a new-generation nuclear-powered icebreaker, Deputy Prime Minister Sergei Ivanov said, according to Xinhua. The construction of the icebreaker, whose speed would reach 37 km per hour, will be completed in five years, he said. Russia’s Federal Atomic Agency, Rosatom, is currently waiting for a go-ahead for the project scheduled for 2011. Some officials, however, said that more analyses of the project’s cost were needed, because the project’s expense exceeded the initially estimated cost. The icebreaker will be used for work in the western Arctic, including Barents Sea, Pechora Sea and Kara Sea.